There are so many things about San Diego that make me believe life is good. 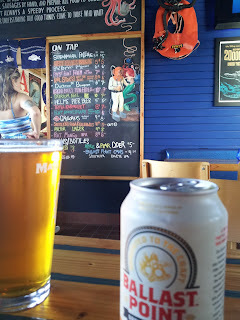 Sitting in a bait shop on a small pier, on Shelter Island, on a lazy Sunday afternoon, drinking Ballast Point's Fathom IPL and Sculpin, is definitely one of those things. 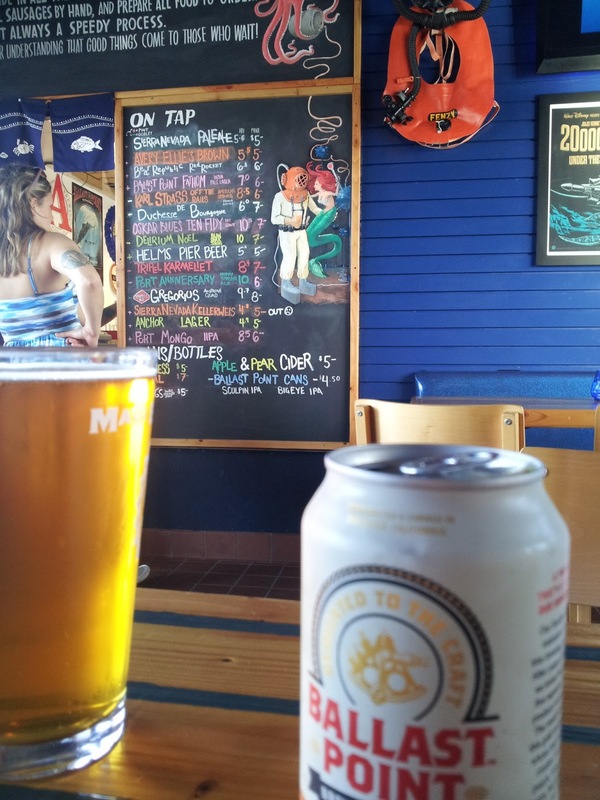 Fathom Bistro and Bait is a relatively new kid on the block, but it's a brilliant idea: Put a grill and some taps in a cozy little bait shop on the end of a pier. The beer menu is not balls deep, just a nice easy-to-read set of delicious beer. Why should a beer list have to be so complex when life is meant to be simple? And did I mention Fathom IPL? That beer alone is enough to bring me in. Outside people are fishing for whatever the hell kind of rockfish you get in the San Diego bay, boats drift lazily by, and you might even see a Coast Guard Cutter come into port. I've been here only once, but I already love it. It doesn't smell like bait, or rotting fish, or anything you could imagine. It's just a relaxing place to take in a frosty cold one, even with a man fully dressed like a pirate checking your ID. A word to the wise though: don't bring a huge group, and don't bring any of your douchebag friends. It is, after all, a glorified bait shop.